Paleocene, a comic book series telling the story of our ancestors 66 million years ago, shortly after the extinction event that killed off all non-avian dinosaurs. PhyloPic, a website storing thousands of free silhouettes of animals, plants, and other life forms. PhyloPic has been used as a resource for numerous scientific papers, technical presentations, and educational materials. Three Histories of the Human Body, a chapter on human evolution in a volume making the case for evolutionary theory and against creationism, written by former creationists. Three Histories includes numerous diagrams, many of which are generated from detailed data files using a code library I've created called Haeckel. Names on Nodes, an application and general methodology for automating phylogenetic nomenclature. So, what is this site? A full page of Paleocene. A new website feature (most likely for PhyloPic). A finished piece of digital 2D artwork. A new visualization of data related to evolutionary biology (most likely hominid evolution). A new digital tool or digital tool feature, such as a completed version of Haeckel. A series of original PhyloPic silhouettes (not vectorizations of preexisting content). For each one, I receive your amount, thereby giving me an incentive to create more. And you get rewards, minimally including previews and access to exclusive content, and potentially including signed prints or volumes, commissioned artwork, or T-shirts, depending on the amount. Wait, what if you create a hundred pieces of content a month? I guarantee that I don't have that amount of spare time! (I am a half-time parent with a full-time job, after all.) But, don't worry, Patreon allows you to set monthly caps on donations. And you can cancel your pledge at any time. Click on it for full attribution. A new, more steamlined version of PhyloPic, and new features, including the ability to create collections of silhouettes (including generated attribution text), automated cladogram creation (enter a Newick string, get a linkable, illustrated cladogram), site optimization, major bug fixes, and, of course, more silhouettes. For more details, see the road map. 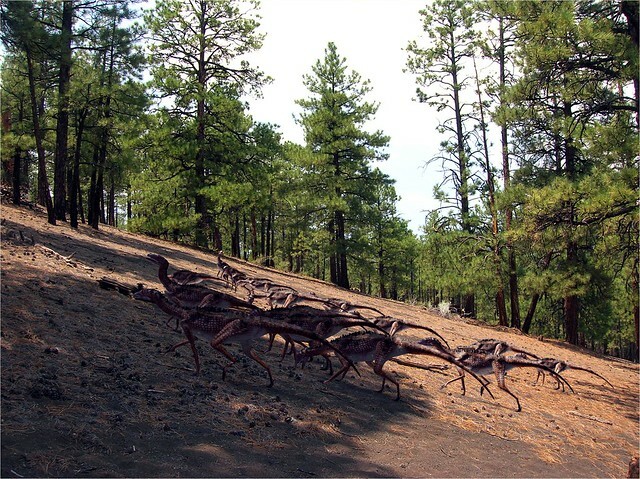 I have some ideas for reconstructions of extinct species. Access to exclusive content, including sketches, mockups, excerpts, and technical plans. Previews of finished content before wide dissemination. One signed print (no greater than 8"×13") of your choice per year. I will create five silhouettes per year of the taxa of your choice and upload them to PhyloPic, with you designated as the sponsor. 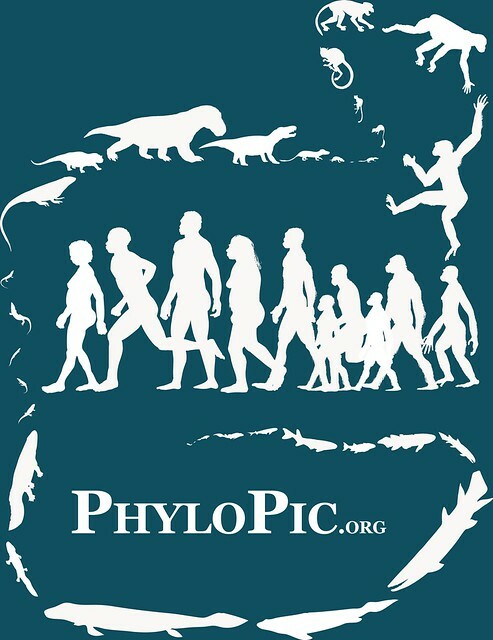 One PhyloPic T-shirt or one additional signed print (no greater than 8"×13") of your choice per year. A signed copy of God's Word or Human Reason? An Inside Perspective on Creationism, including my chapter, Three Histories of the Human Body (available 31 January 2017).